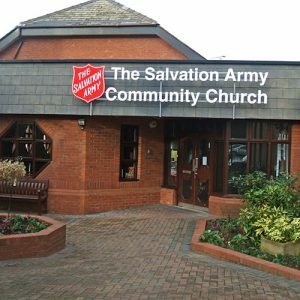 Beavers, Cubs and Scouts meet every Tuesday during term time at the Salvation Army Church in Cheltenham. Being a part of the Beavers, Cubs and Scouts is a superb opportunity for children to learn and build upon communication and interaction with others around them. The activities will encourage children to work together to accomplish various tasks and will equip them with a number of skills to aid their learning at school and to take with them into adolescence and adulthood. The Beavers are for boys and girls aged 6 to 8 and are the first and youngest section in the Scouting family. Easily recognized by their distinctive turquoise sweatshirts, Beavers Scouts enjoy many different activities including going on adventures, games, crafts, making friends and helping others. The Cubs are boys and girls aged 8 to 10½ and are the second section in the Scouting Family. There are lots of fun things that you can do as a Cub Scout. You will get a chance to try lots of different activities like exploring the world around you, how to look after yourself and stay fit & healthy and many many more activities. After completing some challenges and activities, if you tried hard and did your best you will get a badge to wear on your uniform. You are very welcome to come along to one of our Tuesday sessions to see the sorts of activities and games we put on for the Beavers, Cubs and Scouts. One of the team leaders would be more than happy to answer any questions you have.